One could hardly call the area around Fifty-second Street, between Park and Madison Avenues in Manhattan, off the beaten path. The sleekly designed New York City Ferrari dealership sits two blocks away on Fifty-fifth, the Cartier American flagship store is one block down in a six-story neo-Renaissance style, and the archbishop of New York conducts holy business at Saint Patrick’s Cathedral just a few skips down the road. Midtown West isn’t exactly a destination for book shoppers—not flush with indie shops like Brooklyn, bereft of the used-paperback vendors who line the streets along various parts of Greenwich Village. But 55 East Fifty-second’s marble lobby, inside the triangle-shaped office building with a Gotham-style green-glass facade, conceals an equitably valuable treasure in the world’s only standing bookstore dedicated to the works of England’s former prime minister, Winston Churchill—Chartwell Booksellers. And while the tiny bookstore might seem at odds with its location, it actually makes perfect sense that one of history’s best-dressed leaders would have a store in one of the world’s most upscale shopping districts. “He’s more highly regarded in America than he is in England, even today,” Barry Singer, the proprietor of Chartwell, tells me as we sit on a wooden bench surrounded by the spines of hardcover books—some encased behind glass, others invitingly out in the open. 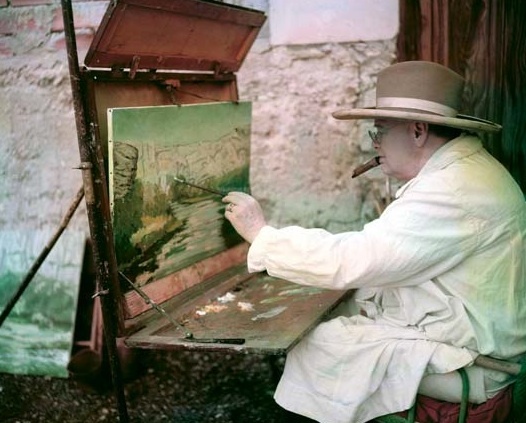 There are new editions of Wodehouse and Borges, a first-edition copy of Wilde’s The Sphinx from 1894, some books of photography featuring shots of famous race cars and jazz musicians, but mostly there’s Churchill—lots and lots of ephemeral odes to and by Winston Churchill. Books by and about the Noble Prize–winning leader, whose bulldog face and inspirational speeches galvanized England as Nazi bombs fell from the sky during World War II, are the bread and butter of the quaint shop. Fittingly, it looks more like it belongs in Churchill’s native country, or at least maybe in some small New England town, away from the un-Churchillish cacophony of the city outside its doors. Chartwell is a handsome place, with wood from floor to ceiling and a carefully curated selection of non-Churchill books. Singer doesn’t take credit for the idea behind the store. A writer and lifelong book lover, he was given the opportunity to open up a bookshop nearly thirty years ago when one of the real-estate developers behind the Fifty-second Street building told Singer he could open the store under one stipulation: that it be named after the estate Churchill and his family lived in until his death in 1965. The backer, an English major from an Ivy League university, also happened to be a Churchill buff, but Singer conceived of a place mostly trading in Churchill books. Singer decided that since the store would derive its name from the former P.M., they should carry a few rare books by him to keep up appearances. When a corporate raider with an office in the same building had his secretary call Singer requesting everything Churchill had ever written in first edition, bound in leather, Singer decided he had found his niche. Now after nearly three decades surrounded by Churchill’s work and devotees, Singer has become a Churchill historian by osmosis. That it has taken this long for Singer to use what he’s learned to author a book on the leader, Churchill Style: The Art of Being Winston Churchill, is the real surprise. 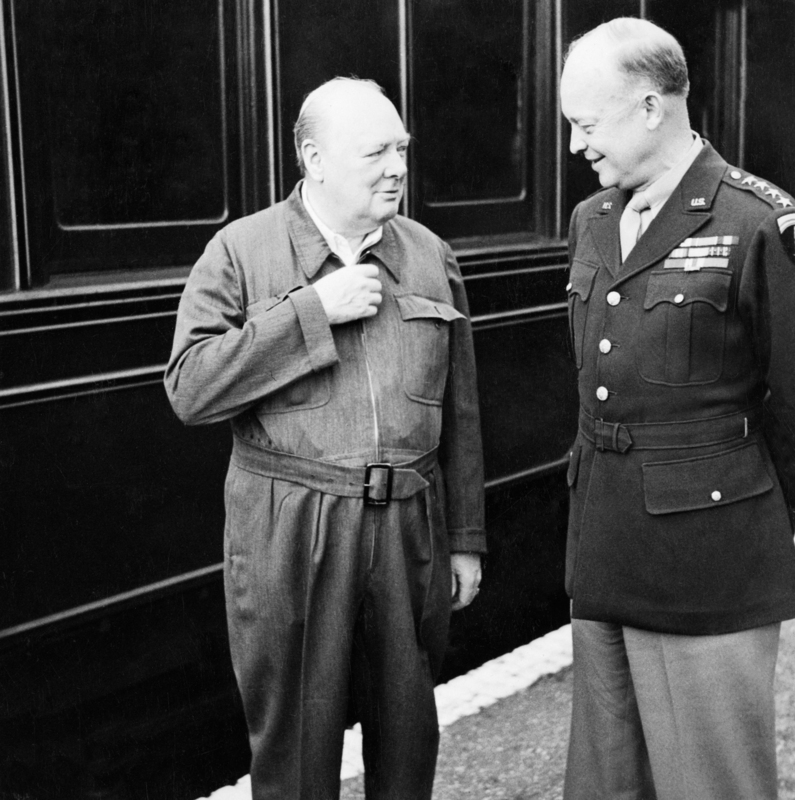 Churchill had style, and even though his choice of undergarments might not suit his public image, comfort was his first concern. The silk was an extravagant expense, justified by a therapeutic application toward Churchill’s persistent skin problems. But, be it in the trenches of Antwerp during World War I or sitting alongside F.D.R. and Joseph Stalin, Churchill always dressed in the finest everything. Photos of Churchill are punctuated by how striking a figure he cut, his clothing tailored just so. 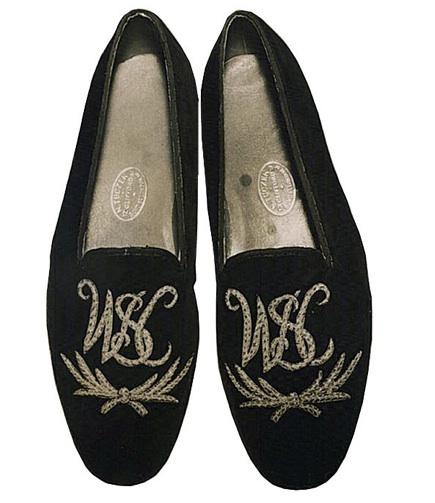 His suits are so well regarded that his tailors, Henry Poole & Co., one of the oldest and most respected bespoke tailors on London’s Savile Row (and therefore, the most respected in the world), reissued the cloth used for Churchill’s famous chalk striped flannel suit, woven by the same west of England mill that made the material in 1936, for the centenary of Churchill’s first order with the iconic shop. 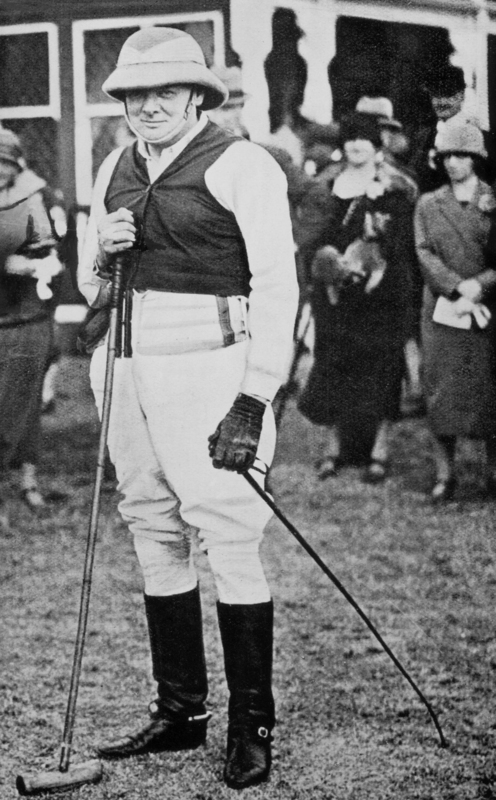 While Churchill’s style suggests fine suits with bow ties, John Bull hats, and expensive cigars, his greatest sartorial triumph was the zip-up, all-in-one “siren suit,” which Singer’s book points out was conceived and designed by Churchill before World War II. The suits, which looked like a cross between a child’s onesie and the boiler suits worn by bricklayers, were made by the tailors Turnbell & Asser and came in several different colors and fabrics. While the suits did make the prime minister look like he was gearing up for an air raid, they may have also been the single most comfortable article of clothing worn by a world leader while commanding an army in the history of modern warfare. Churchill continues to be one of history’s continuously revisited figures, with loads of new books, biopics, and documentaries bearing testament to his legacy and brilliance. Aside from being his country’s most stylish leader since Benjamin “Dizzy the Dandy” Disreali (who ran the country in black velvet suits), Churchill bore witness to several significant moments in fashion, making him a particularly smart man when it came to the evolution of dress. 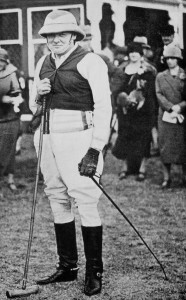 He was born into the Victorian era, came of age in Edwardian times, lived and fought during both world wars and ruled well into the atomic age. 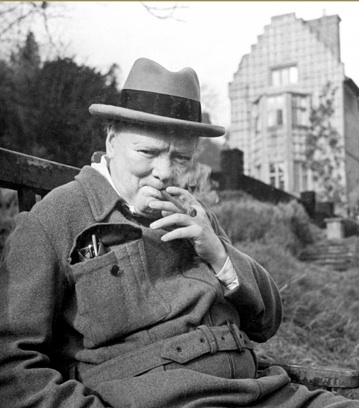 “He didn’t adhere to the stodgy view of political sartorial style,” Singer points out; instead, Churchill was a man who both thought and dressed in a tenor all his own, and in doing so, was one of the last truly stylish men belonging to an England lost long ago. Jason Diamond is a writer who lives in New York. He’s the founder of Vol. 1 Brooklyn.